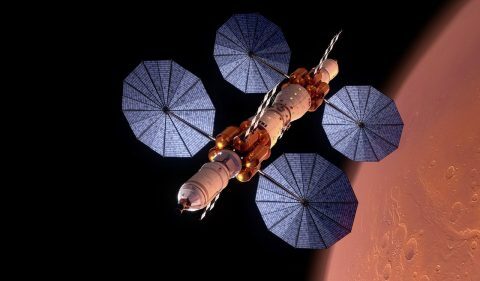 Lockheed Martin introduced at the end of last month an orbital base concept for Mars, called Mars Base Camp. 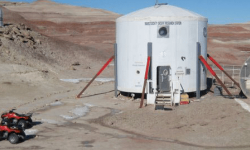 The concept of assembling a base in orbit as a starting point for ground expeditions therefore seems to be a real trend at NASA and its industrial partners. 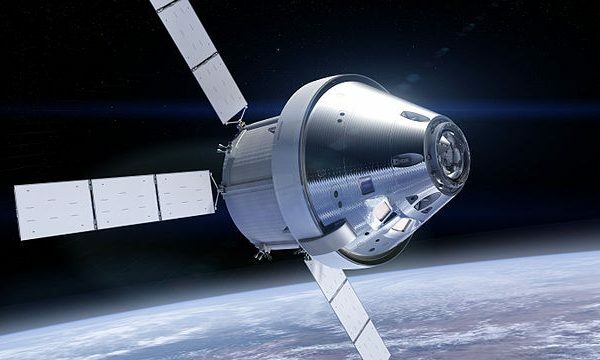 We can therefore imagine a martian travel where a crew would go to the LOP-G space station thanks to an Orion capsule. It would then travel between the space station in orbit and Mars Base Camp space station in Mars orbit, using an interplanetary spacecraft. The Mars Base Camp space station could therefore carry out missions to the surface of Mars thanks to a dedicated lander, also designed by Lockheed Martin. This spatial mission scheme has the advantage of proceeding incrementally. It also offers refuges to astronauts at regular intervals, if anything goes wrong on the martian surface. It is almost certain that the first part of the journey will be possible, thanks to the LOP-G space station, and the Orion capsule. Regarding the journey from the Moon to Mars, it will take at least 15 years to be a reality according to NASA’s new guidelines. That said, the Mars Base Camp concept is very interesting. The martian space station is composed of two modules, a habitat module and a laboratory module. In Lockheed Martin’s plans, part of the Mars Base Camp space station would be sent ahead in martian orbit. The other part would arrive with six astronauts on board, responsible for assembling the space station. Lockheed Martin’s proposal also contains a lander. But all this is at the stage of preliminary studies, and we can think that the concept will evolve a lot before a final design is validated. Image by Lockheed Martin website.